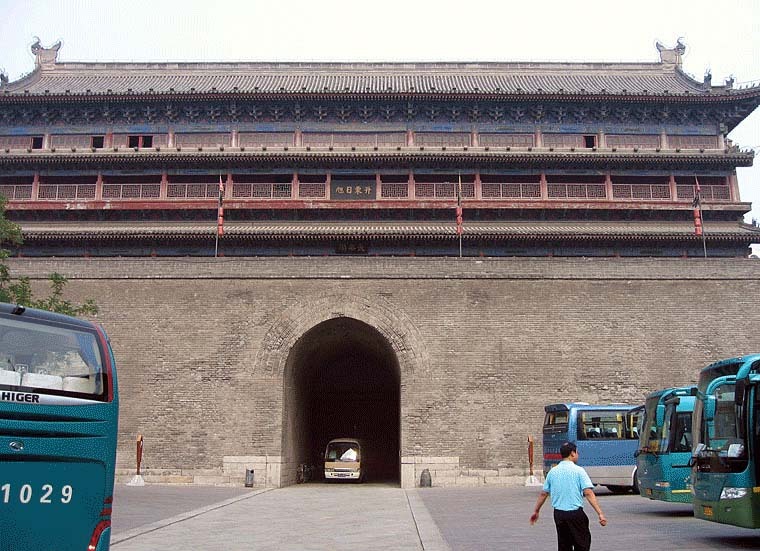 The fortifications of Xi'an, an ancient capital of China, represent one of the oldest and best preserved Chinese city walls. Construction of the first city wall of Chang'an began in 194 BCE and lasted for four years. That wall measured 25.7 km in length, 12-16 m in thickness at the base. The area within the wall was ca. 36 km². The existing wall was started by the Ming Dynasty in 1370. It encircles a much smaller city of 12 km². The wall measures 11.9 km in circumference, 12 m in height, and 15-18 m in thickness at the base.